Photo by DMZ Productions: Bishop Noll Advanced Art students Catherine Menge, left, Maddie Mitchell and Olivia Baczkowski are among those who have work on exhibition at South Suburban College this month. 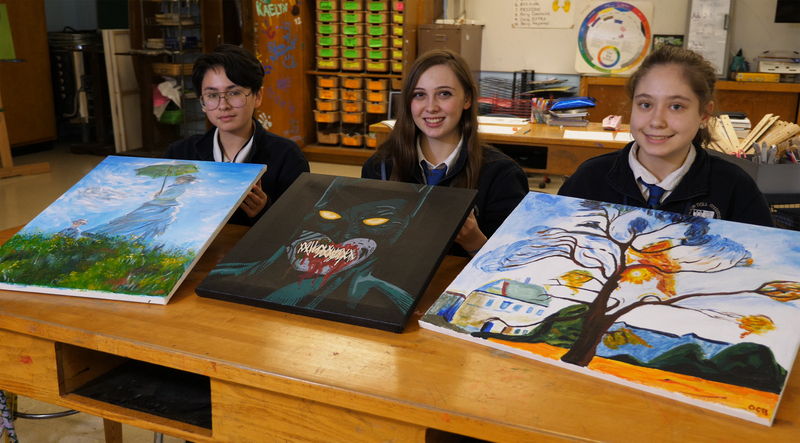 Putting their artistic talents on display, Bishop Noll Institute art students are taking part in a special exhibition at South Suburban College this month. The SSC Regional High School Student Art Exhibit is open to the public through Feb. 22. 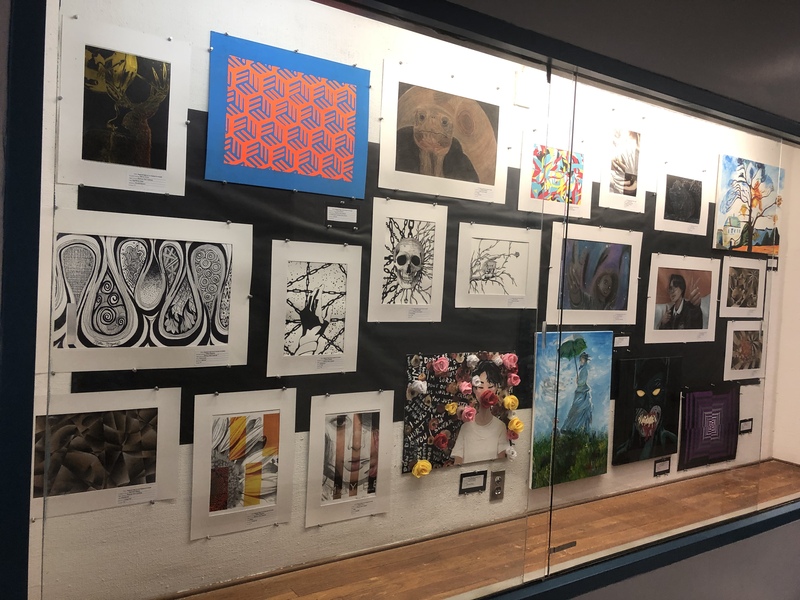 Participating Bishop Noll art students will soon take a field trip to the event, do a gallery crawl and view their work on display as well as student work from other schools. Students also get to hear a guest speaker talk about his or her journey as an artist and the steps taken to become successful. They will also get to participate in some demonstrations in the various art studio spaces of the college. Bishop Noll students whose work will be on display are the following: Olivia Baczkowski, of Hobart; Julianne Hoff, of Calumet City; Maria Krilich, of Whiting; Olivia Magallon, of Hammond; Millie Magana, of Hammond; Catherine Menge, of Hammond; Maddie Mitchell, of Highland; Samuel Repay, of Schererville; David Robles, of Chicago; Emily Rokos, of Lynwood; Alexis Santos, of Hammond; Nestor Soto, of Hammond; and Rebecca Vazquez, of Hammond. “The best part of the exhibition is knowing the fact everything you worked so hard for can now be shown to other people,” said senior Maddie Mitchell. The student work is displayed in the college’s three galleries, which are open to the public during regular hours 9 a.m. to 4 p.m. Monday to Friday. The Art and Design Department of SSC is located on the fourth floor, Northeast section of the South Holland campus. The Dorothea Thiel and Photo-Four Galleries are both located within the Art and Design studio complex. The college is at 15800 S. State St. in South Holland. 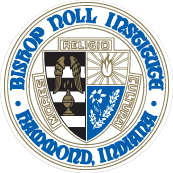 Bishop Noll Institute continues its drive to become the first elite STREAM (science, technology, religion, engineering, art and math) school in Indiana and earlier this school year announced plans for a state-of-the-art STREAM Lab and Innovation Center with a goal of opening for classes in Fall 2019. The $1 million-plus project will consist of a learning studio and design lab, the Makerspace for hands-on work and creating prototypes based on original designs; and a prototype studio to build models and use larger equipment as students build final products for display.